For the longest night of the year, we reconnect with the depths of our being. We enter without fear into the darkest places to find the womb of all life, our innermost yearnings and the spark of creation. Together they are the dance of this great mystery. bring a treat to share if you like. 186 North Main Street, Sebastopol, CA. Julia Bystrova MA, Melissa Patterson ND (and more TBA). What does it mean to really heal? our society and our world? Bring your questions and add your insights and experiences. Please choose what sincerely reflects your budget. This is a community event kept at low cost and we appreciate the highest amount you can give to help support our work. Connecting with our heart is not just a sentimental cliché’; romantic ideal or the latest new age/pop psychology. Recent research in science has shown that the heart actually has a “brain” and there are practices you can do to more consciously create a tangible difference in your well being. It is time we bring more heartful ways into the mainstream of our culture! After all, considering all that we are challenged with as a species, it may be that our very survival depends on it. In this workshop, we will review the frontier of science and what we know about the 'brain' in the heart. 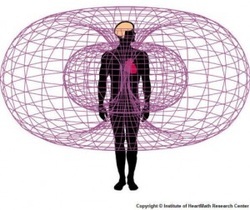 She will give some simple examples of how we can quickly and effectively bring our heart’s electromagnetic field into “coherence”; which effects our entire body as well as those around us. Email julfire@yahoo.com for more info. Weaving healing sounds from a a variety of instruments with powerful evocative words of prose and poetry about life and rebirth, we are taken on a deep inner journey through the land of our soul. What is it we are releasing? What is it that is being reborn?How do we more fully embrace this journey of life that we are on, both personally and collectively?There will be ample time with no words but soothing and stirring instrumentals, so we can enter the wordless places. Yet the words selected will be intended to be catalysts, or lift off places for our our mind and heart to follow. The poems and prayers will be from mystics across the ages. You will also have the option of having healing touch during the odyssey. 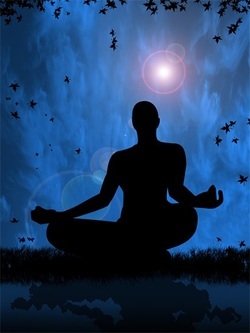 Sound meditation interwoven with guided spoken word and hands-on energy workRide on waves of sound into the depths of a place of sweet, deep darkness and silence, where the core of our being resides. While we visit this place, we can recieve a gift for the next step in our life journey--a valuable gem to take back with us as we ride the sound back out into the light.